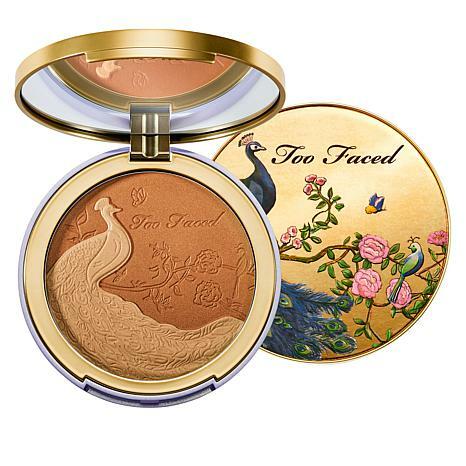 An ultra pigmented and lightweight powder bronzer and highlight duo in a special edition oversized compact. Im 70 years old, Ive had compliments. 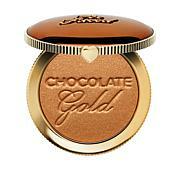 This is a very nice bronzer. Note; my compact was just thrown in box without protective wrapping, no bubble wrap. ; It was completely destroyed but HSN did replace it. Suggestion add protective covering and bubble wrap when shipping items that are as delicate as this, please. 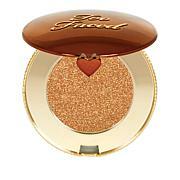 I love, love TFs chocolate matte bronzer; being over 50, I dont like sparkles! 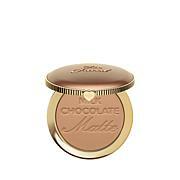 I ordered this mainly for the beautiful compact. But the only bad thing, for me, was the shiny stuff-I shouldve known to stay with a matte but it was Too Faced and I couldnt resist! Unfortunately it has to go back-ONLY because of the sparkle! Was so excited to get this. Was totally crushed and all over the items i ordered. While this can happen, my concern is that there was no protective wrap around the fragile items of box marked to handle with care. Hsn has been in business long enough to package appropriately.